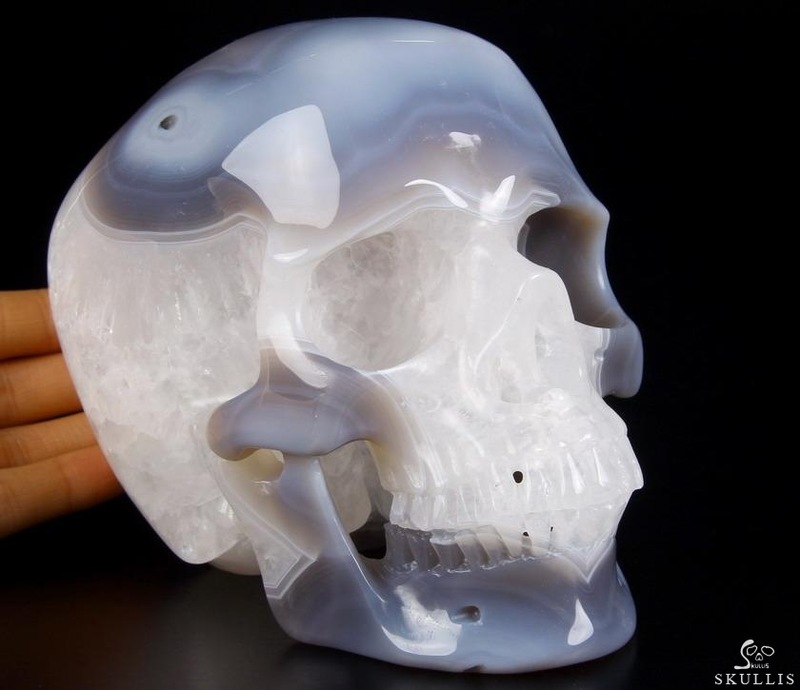 You are looking at an agate skull. 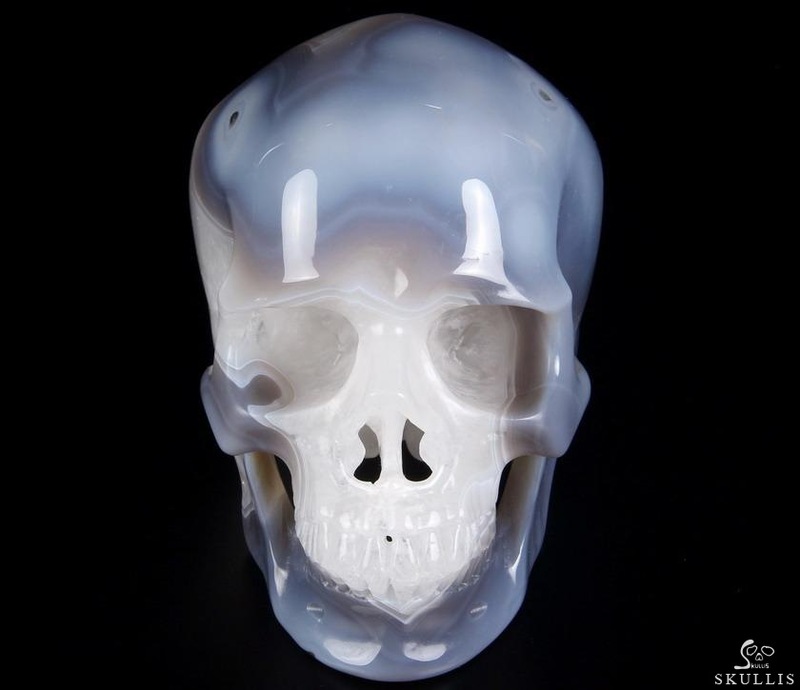 The skull is 5.8 inches long, from front to back. Composed of microscopic crystals of Quartz laid down in colorful bands or ribbons. 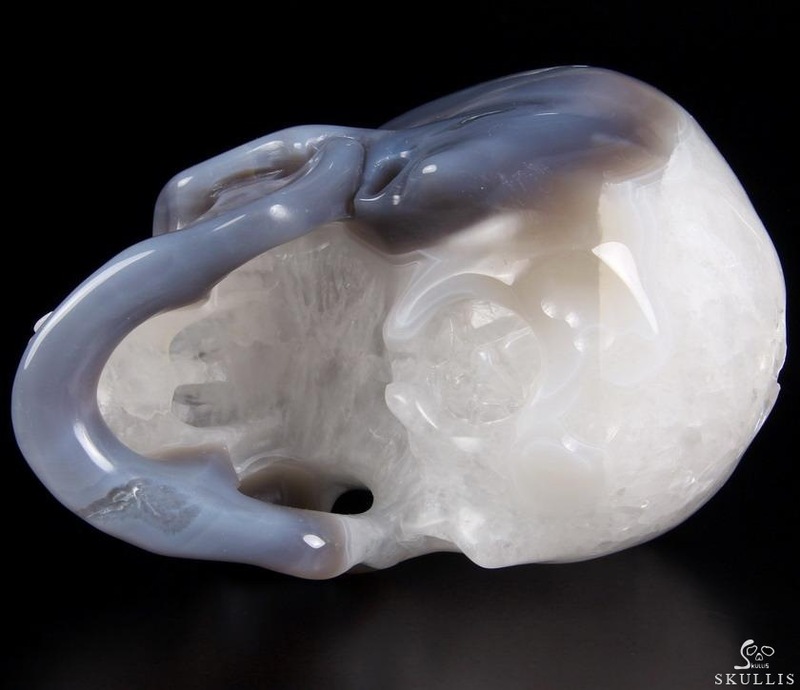 The appearance of the stone is waxy and soft. Almost always translucent and occasionally transparent. 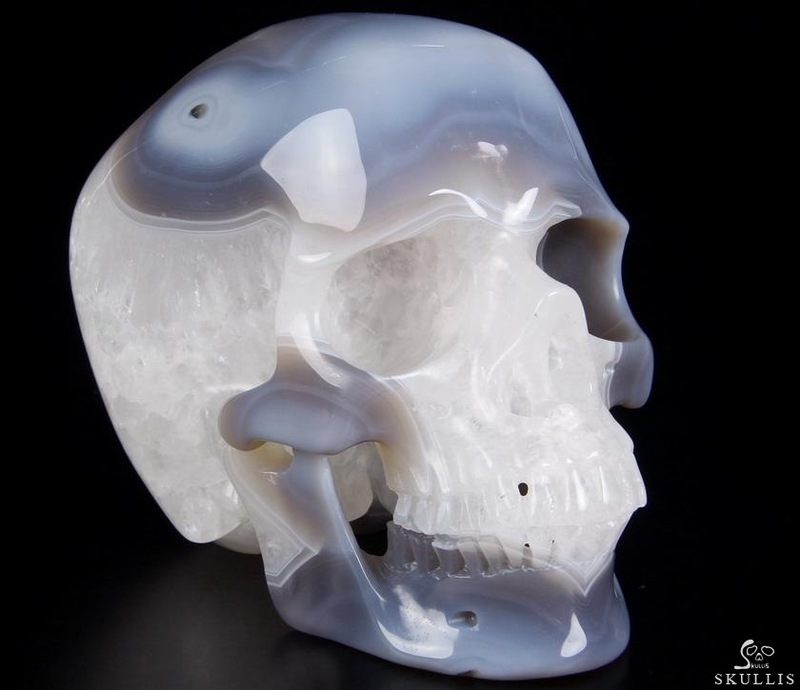 Agates are grounding stones. 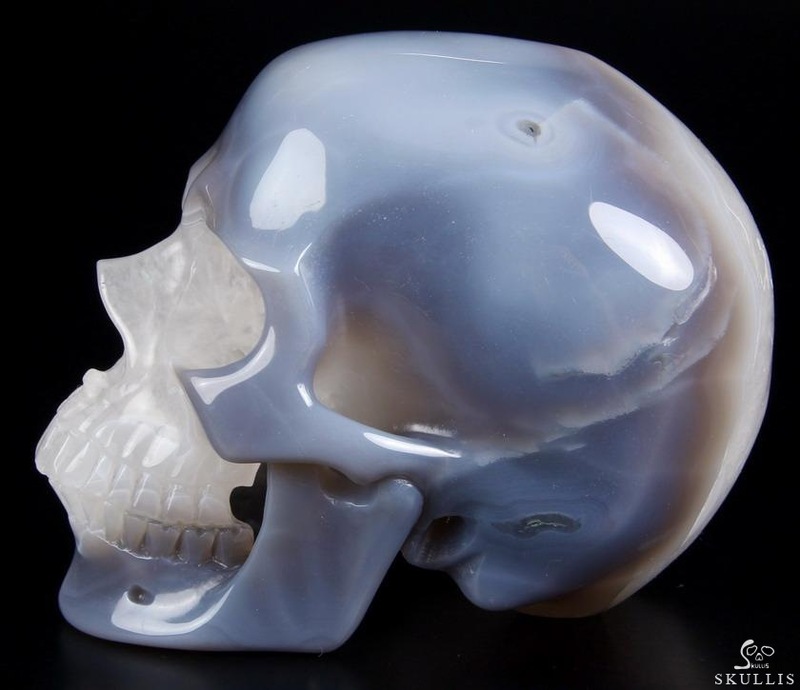 Agates are one of the oldest good luck stones. They help obtain a better physical/emotional balance. They work to raise consciousness. Builds self-confidence. Agate enables the person wearing it to choose their friends carefully. 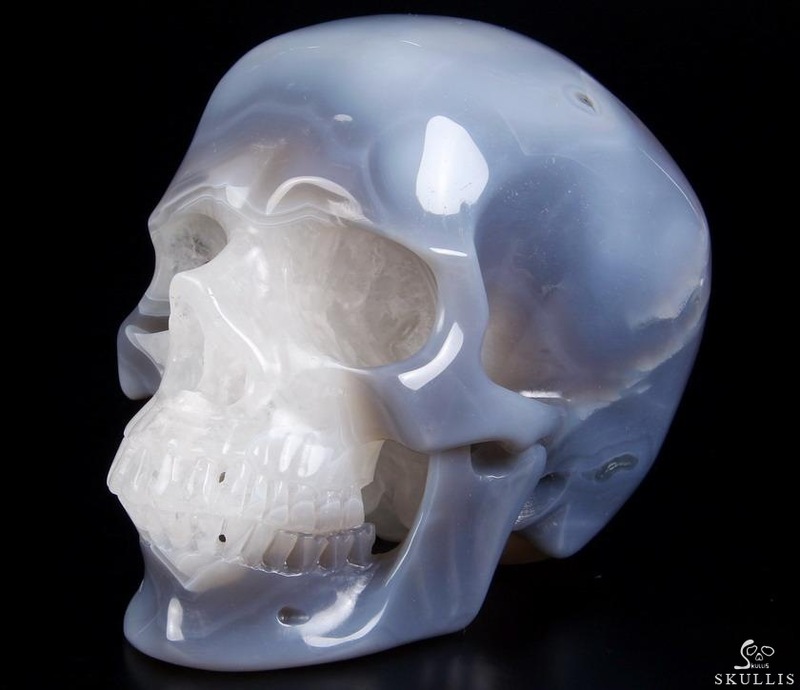 Used to avert from lighting and stormy weather (physically and metaphysically), agate brings prosperity. It is a protector of children. 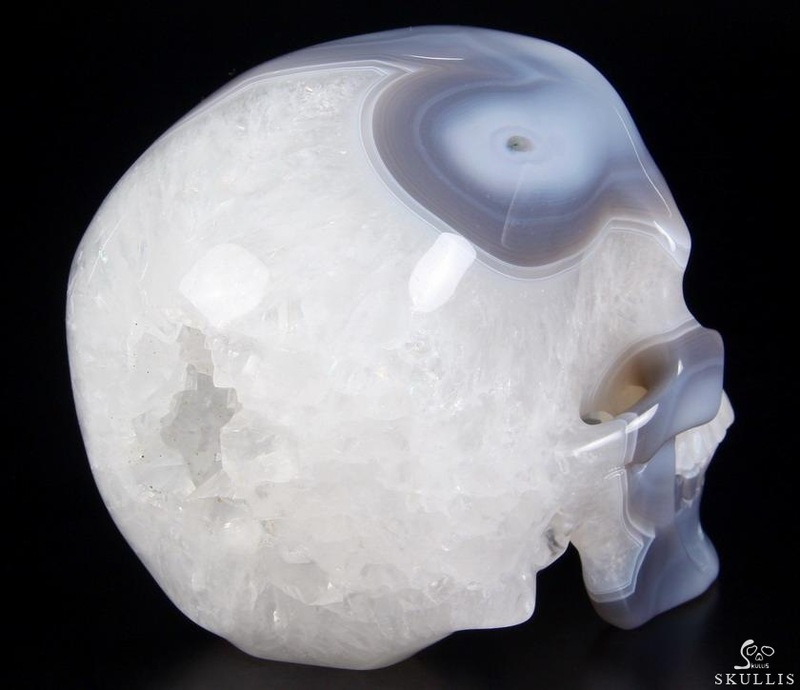 This stone helps us to have patience, and allows for inner peace. 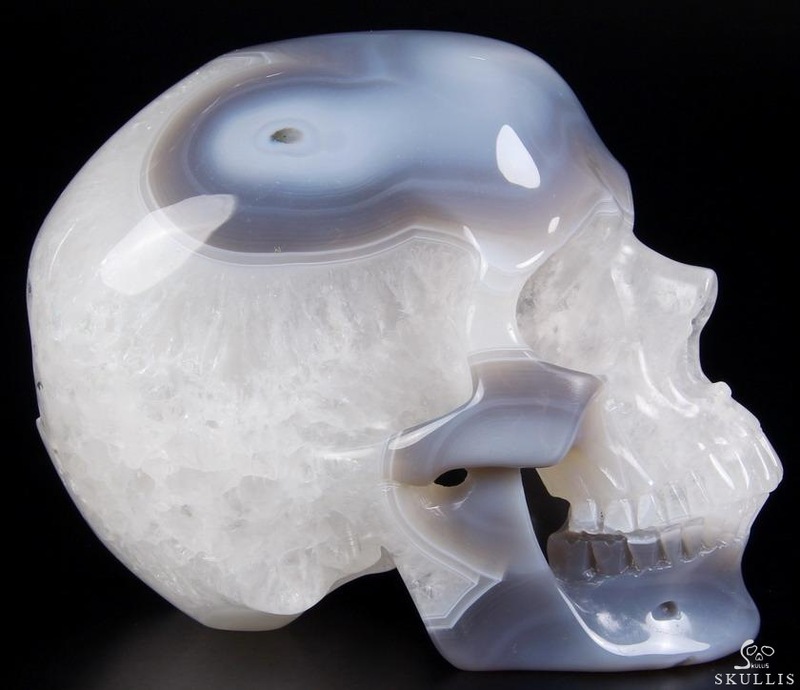 Use agate as a gazing tool for divination and meditation. 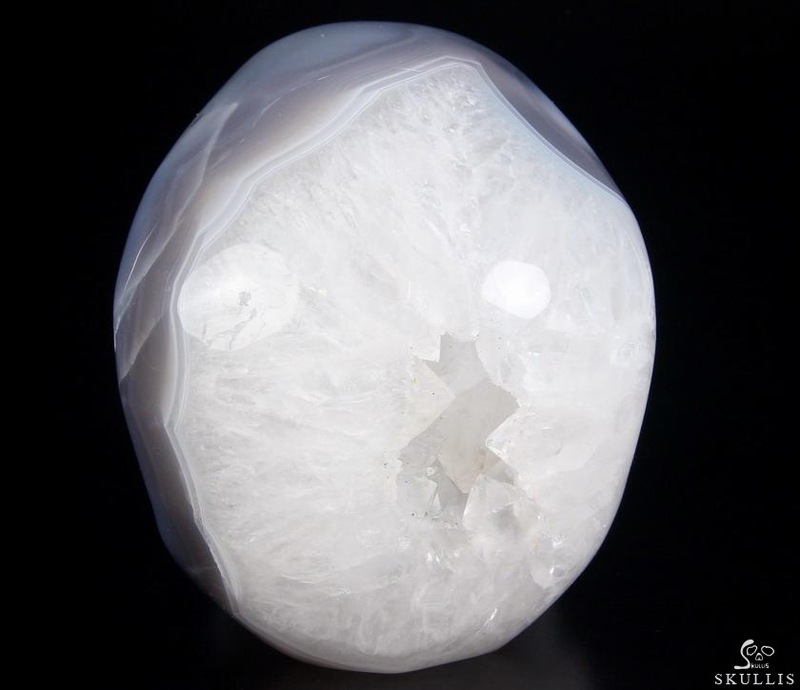 Agate balances emotions and brings insight to any situation.